Like Charlie Munger once said: “I’ve long believed that a certain system - which almost any intelligent person can learn - works way better than the systems most people use [to understand the world]. What you need is a latticework of mental models in your head. And, with that system, things gradually fit together in a way that enhances cognition. Just as multiple factors shape every system, multiple mental models from a variety of disciplines are necessary to understand that system". You can read this book to start building a "latticework of mental models in your head". 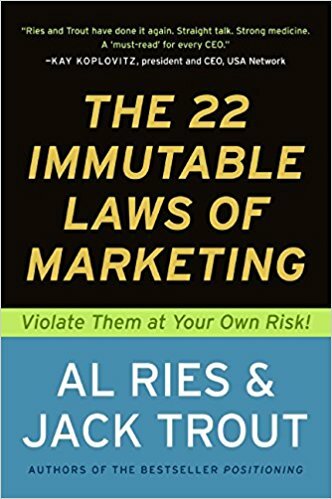 Al Ries and Jack Trout, two of the world's most successful marketing strategists, call upon over 40 years of marketing experise to identify the definitive rules that govern the world of marketing. Combining a wide-ranging historical overview with a keen eye for the future, the authors bring to light 22 superlative tools and innovative techniques for the international marketplace. The authors examine marketing campaigns that have succeeded and others that have failed, why good ideas didn't live up to expectations, and offer their own ideas on what would have worked better. The real-life examples, commonsense suggestions and killer instincts contained are nothing less than rules by which companies will flourish or fail.